The band performed 14 dates across the US during their 'Zip Code' tour - which began in May before ending earlier this month - and pocketed themselves the huge sum of money after selling 628,733 tickets. 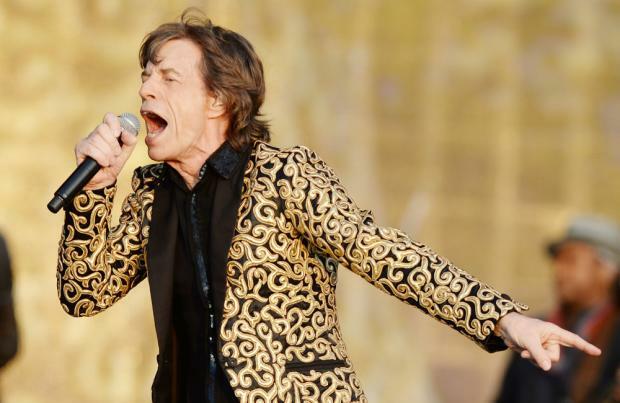 In total, Billboard magazine reports the 'Satisfaction' hitmakers - comprised of Sir Mick Jagger, Keith Richards, Charlie Watts and Ronnie Wood - received gross earnings of $109.7 million (£70 million) for the live stint. The string of dates came after several tours across Asia, Europe, Australia, New Zealand since 2012, when the band reformed following a five-year hiatus. Meanwhile, The Rolling Stones recently announced their first international exhibition, 'EXHIBITIONISM', which will open at London's Saatchi Gallery in April 2016. On show in the exhibition will be over 500 artefacts from the band's personal archives including original stage designs, rare guitars and instruments as well as previously unheard audio tracks and video clips. Guitarist Ronnie explained: "The exhibition is an insight into an ongoing machine and institution that will never stop rumbling. We didn't get into this exhibition with the thought of retiring. It's just another input into the travelling circus." And following the success of their recent live comeback, guitarist Keith has vowed they have no plans to part ways any time soon. He insisted: "People have said we're splitting up since every tour from about 1975. If anybody should be interested in when we're going to quit, it should be the Stones, and they're not particularly interested in doing so."